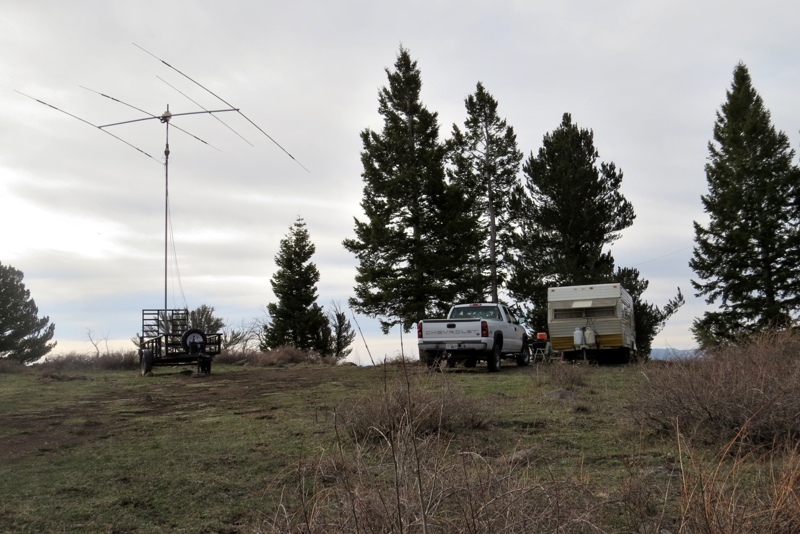 NR7T's 7QP operating site at 9400' elevation in sparsely populated Piute County, Utah. March 14, 2019 - The Planned Operations tab (above) shows what we know about activity in 7-th area counties. If you're in 7-land, please let us know your plans. 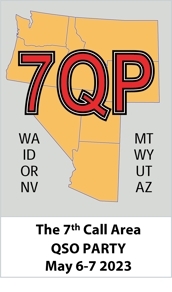 March 14, 2019 - Two main rule changes for 2019 -- digital QSOs are now worth 4 points instead of 3, and we've dropped the 6 and 2 meter bands. For complete rules, click the Rules link in the left column of this page. April 20, 2018 - CW Mobile Window added to suggested-frequency rules: "Suggested operating frequencies: 1815 and 40 kHz up on CW, except on 40m, where 7025-7035 is suggested (a window for mobiles to call CQ should be observed from 35 to 40 kHz up; others should not call CQ or run stations there); ..."